Republican gubernatorial candidate Phil Scott has spent the past week trying to move beyond Democratic attacks on his abortion stance. A new postcard from a pro-life advocacy group may only make that more difficult. 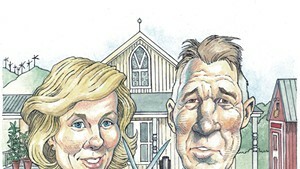 In recent days, the Vermont Right to Life Committee spent $4,591 on a mailer promoting Scott, Republican lieutenant gubernatorial candidate Randy Brock, Republican attorney general candidate Deb Bucknam and a slew of GOP legislative candidates. According to VRLC treasurer Sharon Toborg, the organization wrote its supporters "to let them know where the candidates stand and who we think the better candidates are in various races." In the postcard, VRLC acknowledges that Scott considers himself pro-choice, but it says he has "consistently stated his support for some key pro-life legislative initiatives, such as parental notification and limits on late-term abortions." 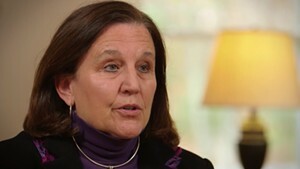 Democratic gubernatorial nominee Sue Minter, it continues, "would govern in lock step with the powerful abortion lobby." 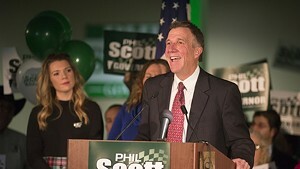 While Phil Scott is pro-choice, he has consistently stated his support for some key pro-life legislative initiatives, such as parental notification and limits on late-term abortions. His Democrat opponent, Sue Minter, is endorsed by pro-abortion and pro-assisted suicide PACs. She would govern in lock step with the powerful abortion lobby, while Phil Scott would approach issues with a more open mind. In a statement released Wednesday, Vermont Democratic Party spokeswoman Christina Amestoy called on Scott to "reject his endorsement from Vermont Right to Life and disavow the group's support of his campaign." "Vermont Right to Life clearly views Scott as a candidate who will advance their agenda," Amestoy said. 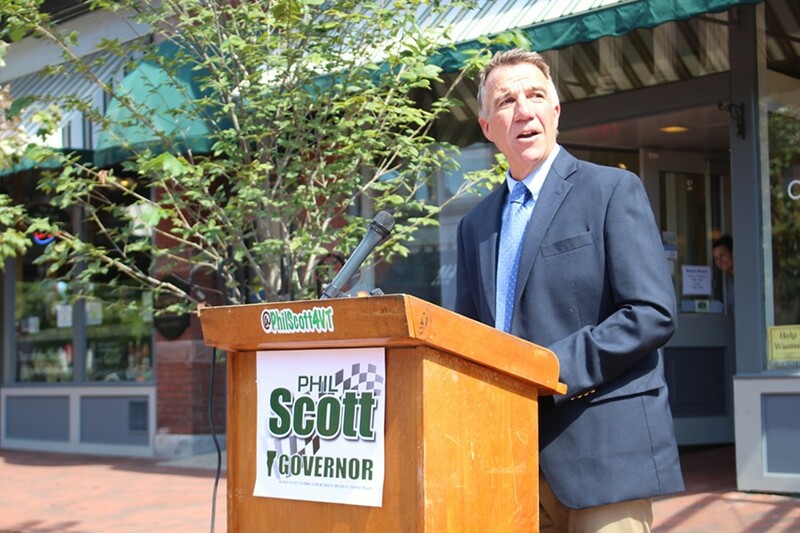 "Their support for his campaign raises an important question: What would Vermont Right to Life want from Phil Scott as governor?" Scott spokesman Ethan Latour declined to weigh in on the new mailing, saying, "We have already said all we can to clarify Phil's position on this issue." Latour said Scott, the incumbent lieutenant governor, was "focused on talking with as many Vermonters about the plans Phil has proposed to strengthen the economy and make Vermont more affordable." The Scott campaign did obliquely reference the abortion debate in a new television advertisement, in which it accused Minter of supporting several tax hikes. Near the end of the ad, which stars former Planned Parenthood board member Candy Moot, the retired Statehouse lobbyist says, "I can tell you, for this pro-choice voter, the choice is clear." Toborg, the VRLC treasurer, said she doesn't know what to make of the Democratic attacks on Scott. "Planned Parenthood is trying to gin up a controversy where none exists. I mean, really?" she said. "They're spending a million dollars on an issue that hasn't come before the legislature in 15 years." In fact, the Planned Parenthood Vermont Action Fund and the Democratic Governors Association have spent roughly half that on abortion-related ads. 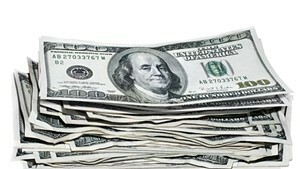 Still, Toborg notes, Planned Parenthood spent only $120,000 during the 2010 gubernatorial race on ads criticizing Republican nominee Brian Dubie, who considered himself pro-life. "I mean, politics is a strange business," she said. According to Toborg, "Abortion is just not on the legislative agenda in the state of Vermont. It hasn't been. It's not going to be in the foreseeable future. And to spend this sum of money to try to create some sort of impression that it is — it just really boggles the mind." The VRLC leader said that while Scott does not consider himself pro-life, he "would at least be thoughtful on the issue." As for Minter? "I think it's disappointing that she would just go along with whatever the abortion lobby wished to have done," Toborg said.